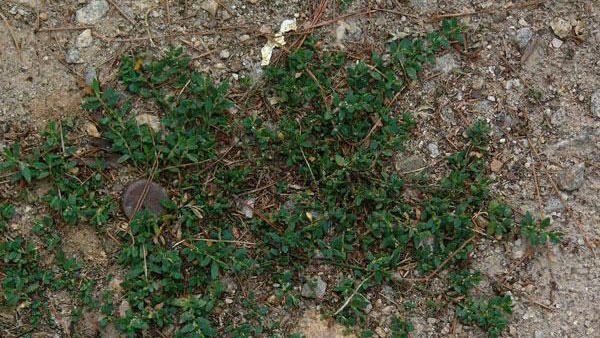 Prostrate knotweed is a low-growing summer annual or perennial which is very competitive in compacted soils. It is often a problem along driveways, sidewalks, and beaten paths. The slender stems radiate from a central taproot and produce a tough mat-like growth. Leaves are dull, blue green, small, smooth and arranged alternately along the stem. This weed germinates with the first warm temperatures in the spring. Newly emerging seedlings are often mistaken for grasses in very early stages of development. 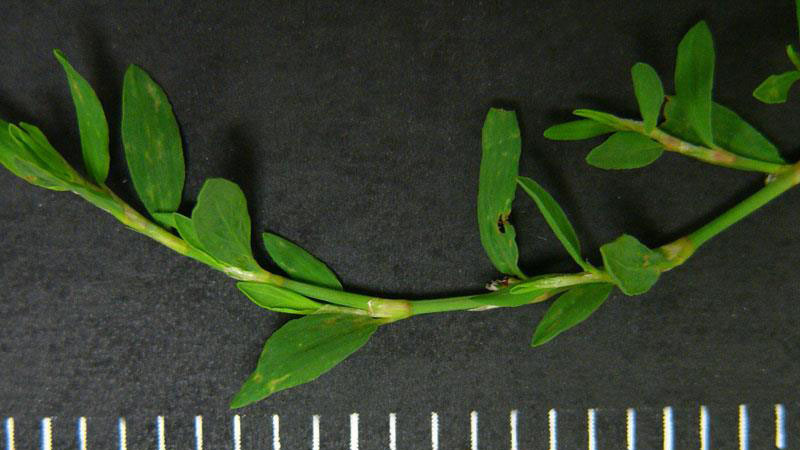 Prostrate knotweed is very competitive in infertile and compacted soils and often invades turfgrasses along driveways, sidewalks, and beaten paths across lawns. Maintain a dense, actively growing turf through proper mowing, fertilizing, and watering practices. Mow at the proper height for your selected adapted turfgrass. Coring and traffic control reduce compaction and encourage desirable turfgrass competition. 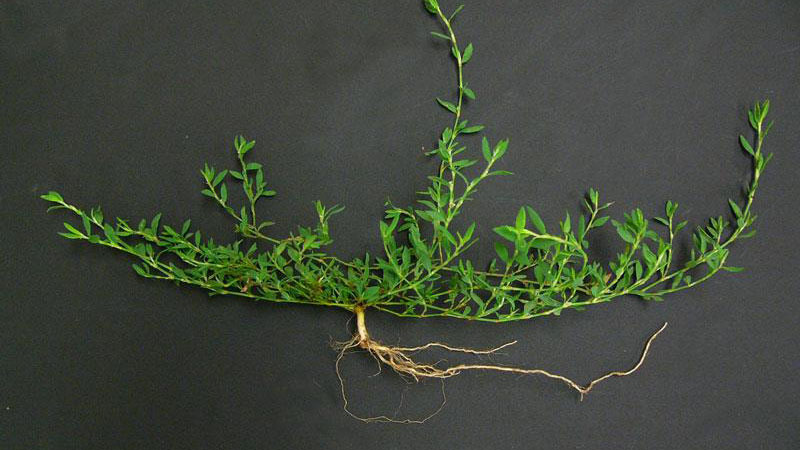 It is best to control this weed in late spring or early summer because it is easier to control at this time and the turf will have a greater chance of recovering the areas previously occupied by weeds. Figure 1. Prostrate Knotweed growth habit. Figure 2. Prostrate Knotweed growth habit. Figure 3. Prostrate Knotweed growth habit. Figure 4. 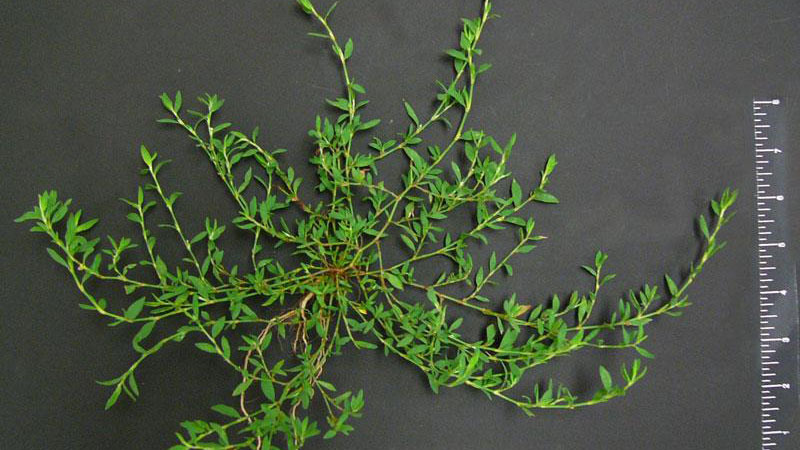 Prostrate Knotweed leaflet number. Figure 5. 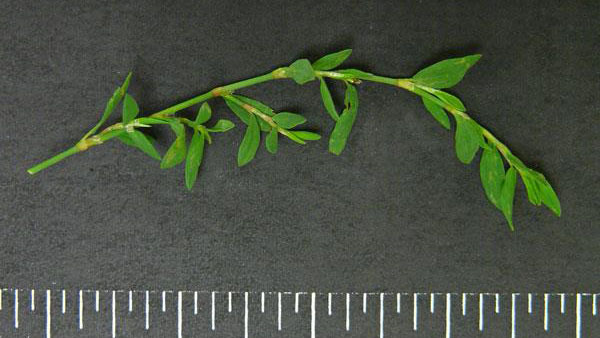 Prostrate Knotweed leaflet number. Figure 6. 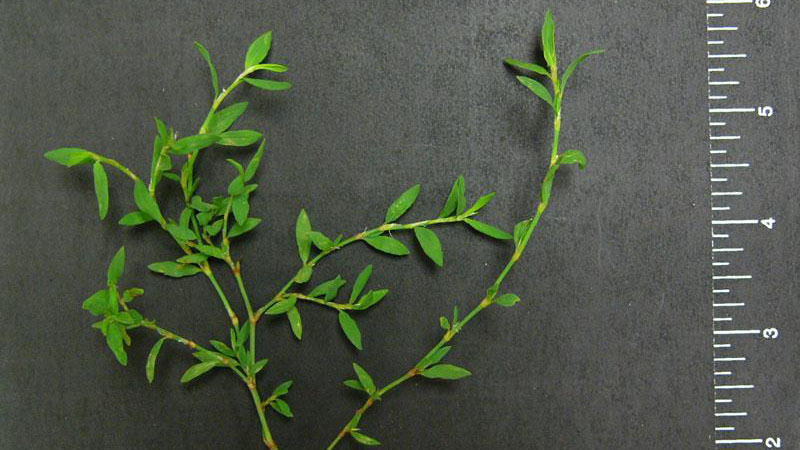 Prostrate Knotweed leaflet number.